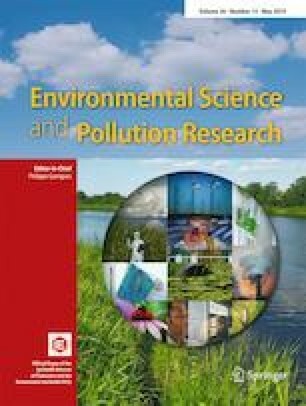 The present study presented an inclusive analysis of engine exhaust emission characteristics of direct injection diesel engine fuelled with diesel and biofuel. Biofuel used in this investigation was obtained by steam distillation from pine oil. A single-cylinder, four-stroke diesel engine was used for this purpose. In this work, performance characteristics like brake thermal efficiency (BTE) and brake-specific fuel consumption (BSFC) were analysed. The engine pollutants, namely nitrogen oxide (NO), carbon monoxide (CO), hydrocarbon (HC), and smoke, were examined. In addition, combustion characteristics like in-cylinder pressure and heat release rate were presented. Two engine modification techniques, namely thermal barrier coating and the addition of antioxidant to biofuel, were attempted. The advantage of thermal barrier coating is to reduce heat loss from the engine and convert the accumulated heat into useful piston work. In this work, partially stabilised zirconia was used as the coating material. The usage of antioxidant-treated biofuel in a diesel engine was said to be the prominent approach for NOx emission reduction. Three different antioxidants, namely butylated hydroxyanisole (BHA), butylated hydroxytoluene (BHT), tertiary-butyl hydroquinone (TBHQ), were exclusively dissolved at a concentration of 1% by volume with PO fuel. The obtained performance and emission characteristics of the uncoated engine were compared with the thermally coated engine. From the results, it was observed that the PO biofuel may be a promising alternative in the near prospect with the thermal barrier coating technique to enhance the performance, combustion and emission characteristics of diesel engine. The PO+TBHQ blend was considered as more beneficial than PO+BHT and PO+BHA on account of its performance, combustion and emission characteristics. The effectiveness of the antioxidant was shown in the order of TBHQ>BHA>BHT. The authors would like to express their thanks to the University Grants Commission-South Eastern Regional Office, Hyderabad, India, for financial support through Minor research project for teachers with grant number 4-4/2013-14 (MRP- SEM/UGC- SERO).